Diet Mentality? Do YOU have one? These are some statements to determine if you have a diet mentality. Most of you will see that we all have one! You want to lose weight quickly. Your weight prevents you from achieving other goals in your life. You want to lose weight for your spouse or significant other. You want to achieve the “ideal” body. We each have our own idea of what that “ideal” is. You are depressed when you look through the latest magazines, even though you know they contain photo-shopped photos. You might avoid social events because of your weight. Maybe you do not want to embarrass your husband/significant other at a social event. Your weight determines how you feel about yourself. You want to lose weight for an upcoming event. You usually eat less than 2000 calories per day. You skip meals like breakfast to conserve calories. You eat mostly low-fat carbohydrates like pasta, bagels or frozen yogurt. You find yourself preoccupied with food or diet thoughts. You prevent weight gain by using laxatives, vomiting, fasting, or exercising excessively. Your weight goes up or down constantly. You panic when you have gained weight. Our entire society has an obsession with weight, and most of us have bought into it. We have this "diet mentality" ingrained in our brains now. It is all about weight! 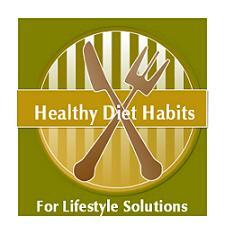 It is not about developing lifestyle solutions, or healthy diet habits to keep our weight on track. If you want to begin to drop this mentality, and incorporate, healthy diet habits, into your life, you might need to make some Diet Mentality Changes in order to learn some Lifestyle Solutions to deal with your weight.